Bats have inspired storytellers for centuries from Australia aboriginals to Greeks philosophers to Native Americans. This is because bats are a strange type of mammal that does not exhibit normal behaviour like other animals. Bats are nocturnal—which lends them their mysterious quality—sleep upside down, and live in unusual habitats, such as caves and attics. With so many stories about bats, people don’t always know the truth about them, which could have disastrous consequences. Humans can contract diseases, but overall, infection from a bat is low. If you are bitten or scratched by a bat, it’s important to immediately wash the wound, apply antiseptic, and seek medicate advice because if the bat in question had Australian bat lyssavirus (ABLV), then it can create a reaction similar to rabies in humans and be fatal. Thus far, there have only been three cases on record and they were all in Australia. When bats have rabies, they are unable to fly or roost and they can become paralyzed. Should you ever see bats on the ground behaving strangely, that’s a sign to stay away and contact an animal control expert. This protocol is the same when you find an injured bat as well. People who handle bats need to be vaccinated and trained. 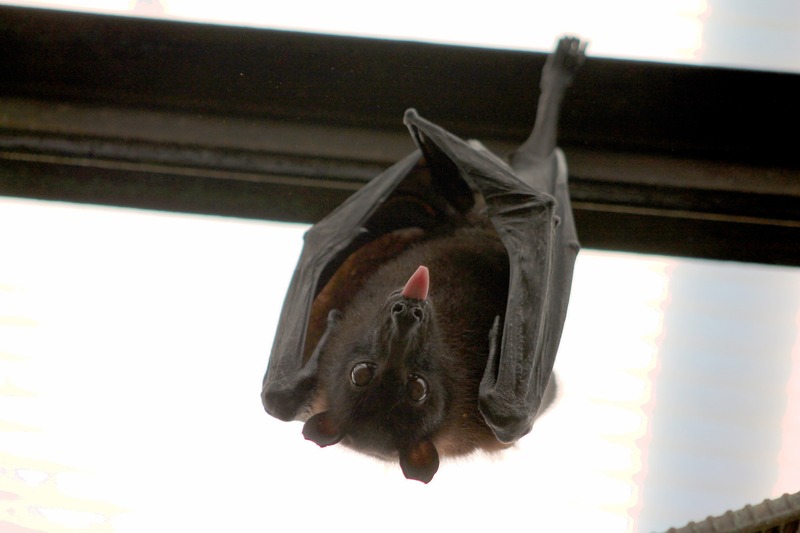 Bats pose other health risks, such as bat bugs and histoplasmosis. Physically similar to bed bugs, bat bugs feed off of bats and their blood. Unfortunately, bat bugs can also live off of human blood. Bat droppings, known as guano, is dangerous to humans when inhaled and can induce flu-like symptoms, cause blindness, histoplasmosis (lung disease), and even death. Throughout Canada and the United States, bats are protected by the law. Specifically in Ontario, the Fish and Wildlife Conservation Act state that residents cannot kill bats found in their home. Eight species of bat are listed as Specially Protected Mammals, which protects them from being trapped, hunted, or killed. Of these 8 species, the Little Brown Bat is most commonly found in attics of Ontario residences and is endangered. Bats usually have only one pup per year, which makes them more likely to become endangered and even extinct. Bats have been associated with vampires thanks to Dracula movies, Bugs Bunny cartoons, and a myriad of other stories. The truth is, there are only three types of vampire bats out of the 1,200 existing bat species. They are only located in certain areas of Mexico, Central America, and South America. Moreover, the way bats drink blood is like a mosquito and, be rest assured that even if you do come into contact with a vampire bat, they feed primarily on cattle. The non-vampiric bat species eat insects, like mosquitoes, or satisfy their appetite with fruits and nectar. Ontario residents don’t need to be afraid of bats, but they do need to be aware of the facts surrounding these mammals should residents ever find one in their home. When you find or suspect a bat is in your home, don’t hesitate to contact Raider Wildlife Control. Our experts are trained in handling bats, thoroughly cleaning the areas they roosted in, and implementing preventable measures so you and your family don’t encounter this problem again. We serve the Ontario region, so call us today at 1-844-482-7243 or fill out our online request form! Previous PostWhy Are People Afraid of Mice?